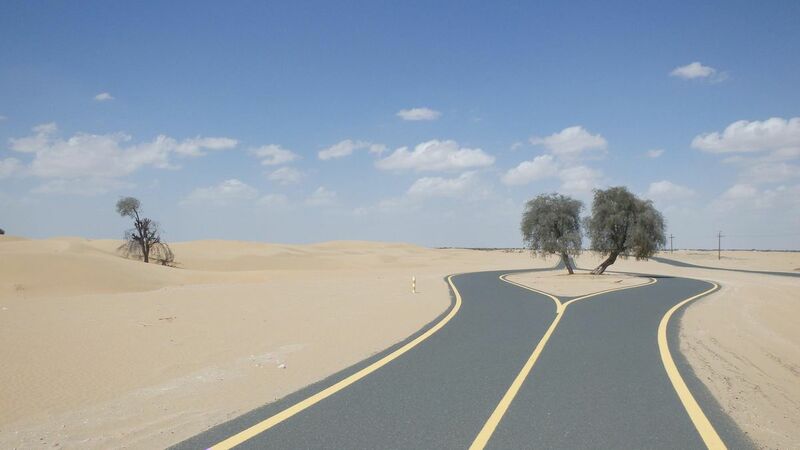 Nice place for road cycling on asphalt track in the desert. There are small climbs but nothing spectacular. Start and finish place can be the Trek store where you also have showers, lockers and food and beverage shop. Get the Bikemap app for your mobile to ride Al Qudra cycling track Dubai, to track your own routes and to share them with an active online community of 1,000,000+ cycling enthusiasts.